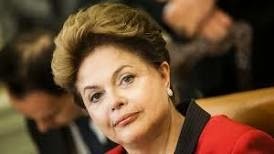 Avem placerea sa va informam astazi presedintele Braziliei (d-na Dilma Rousseff) a promulgat legea custodiei fizice comune. Brazilia este a sasea putere mondiala a lumii si una dintre economiile cu cea mai mare crestere economica. Brazilia a adoptat acum cativa ani si o lege privitoare la contracararea fenomenului de alienare parentala, lege care in prezent este luata drept model de alte tari. (Dec 04, 2014) On November 26, 2014, the Brazilian Federal Senate approved an amendment to articles 1,583, 1,584, 1,585 and 1,634 of the Civil Code (Códico Civil [C.C. ], Lei No. 10.406, de 10 de Janeiro de 2002, PLANALTO). Among the changes is an amendment to paragraph 2 of article 1,584 that will establish that when there is no agreement between the mother and the father on the custody of a child, and both parents are able to exercise parental authority, joint custody will be applied unless one of the parents declares to the judge that he or she does not want custody. (PLC – Projeto de Lei da Câmara [text of the draft legislation], No. 117 de 2013 (Dec. 5, 2013), Senado Federal website.) Before the amendment, joint custody was applied only when possible, rather than being the default choice. Furthermore, an amendment to paragraph 3 of article 1,584, which establishes the duties of the father and the mother and the periods the child stays with each parent under joint custody, provides that there must be a balanced division of the time the child spends with each parent. (Id.) Before the amendment, there was no definition of such time periods.